I always enjoy sharing positive and encouraging news about real estate. A leading expert in the field, Steve Harney, authors a popular monthly report called Keeping Current Matters, and just published this interesting data on homeownership. 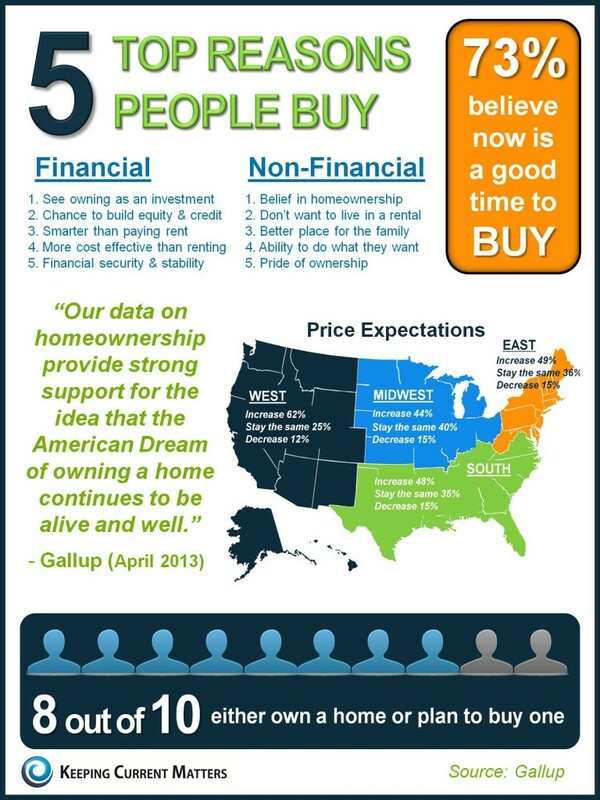 You hear so much about how good of a seller's market we have right now, it's good to see this view on buying! Give me a call if you're motivated to move!